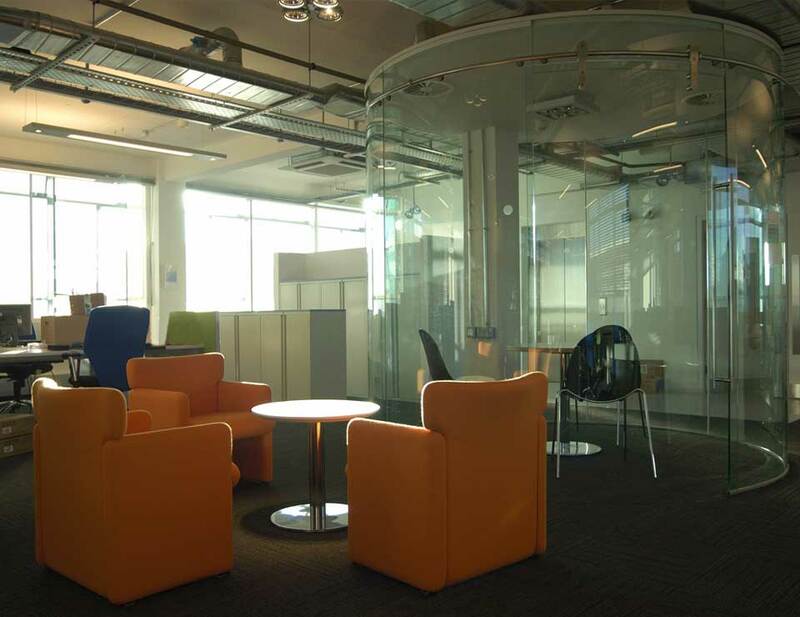 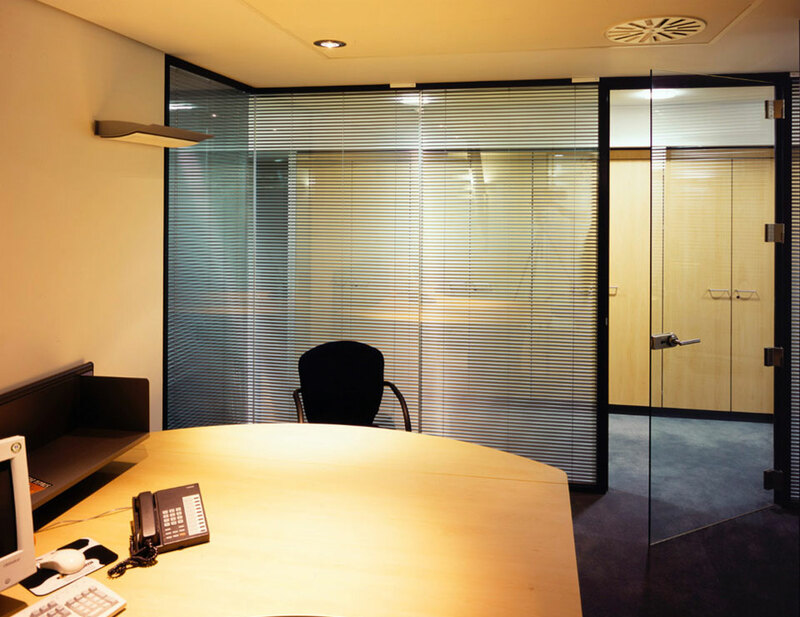 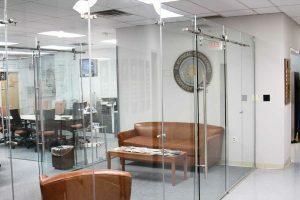 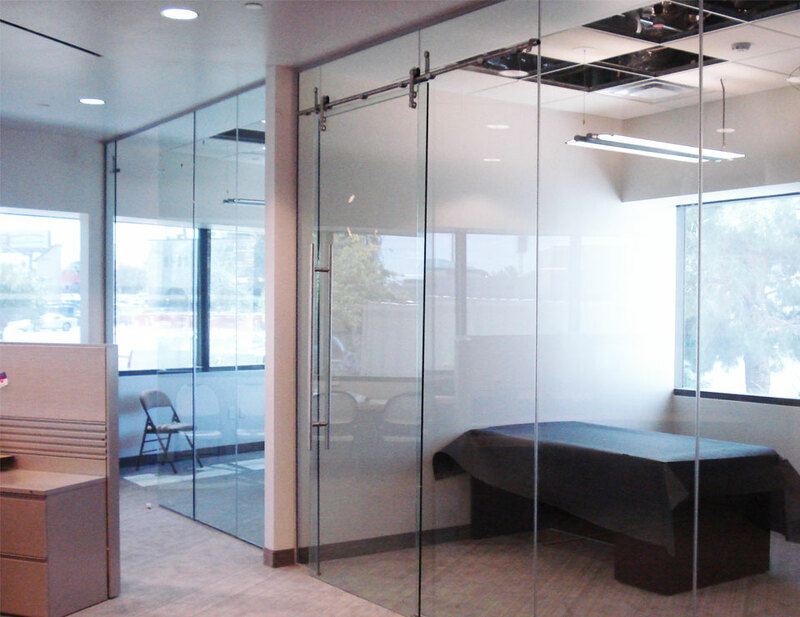 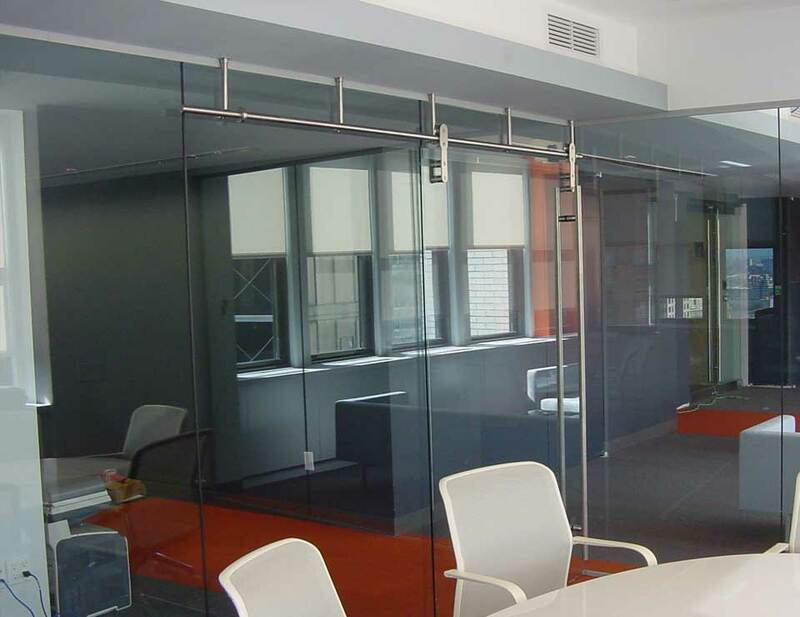 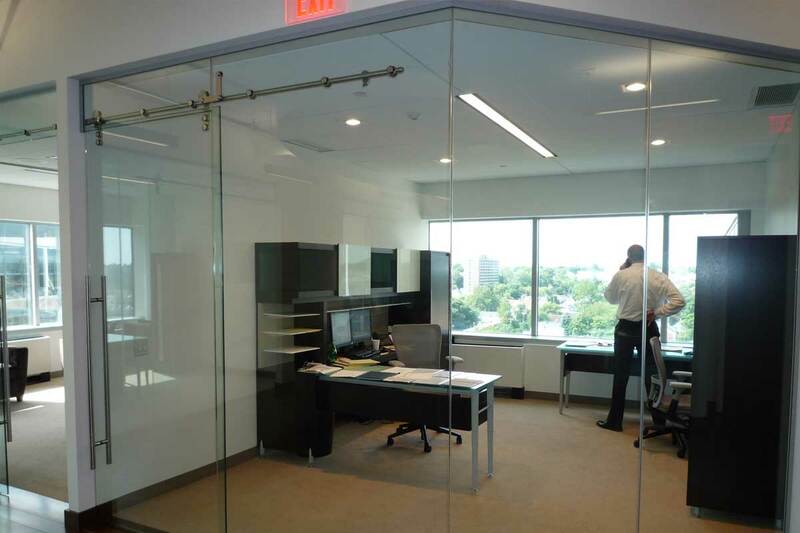 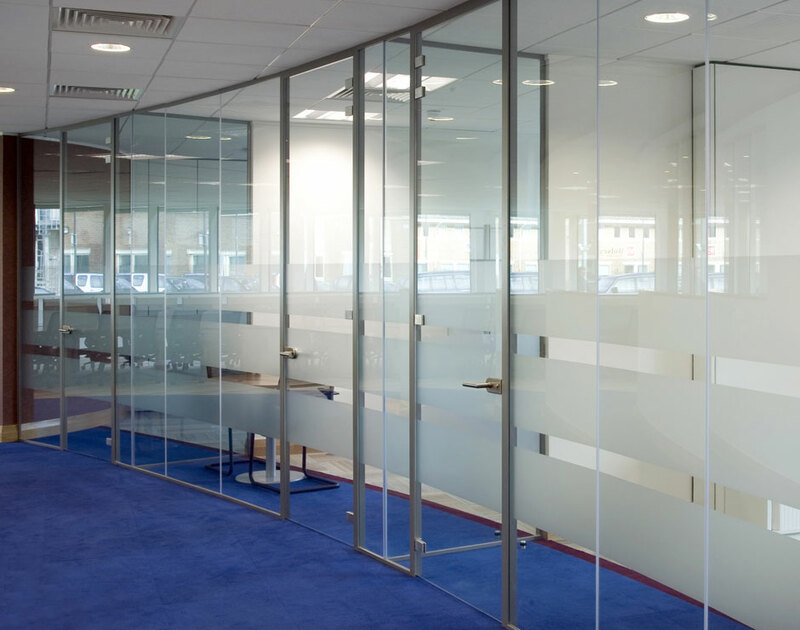 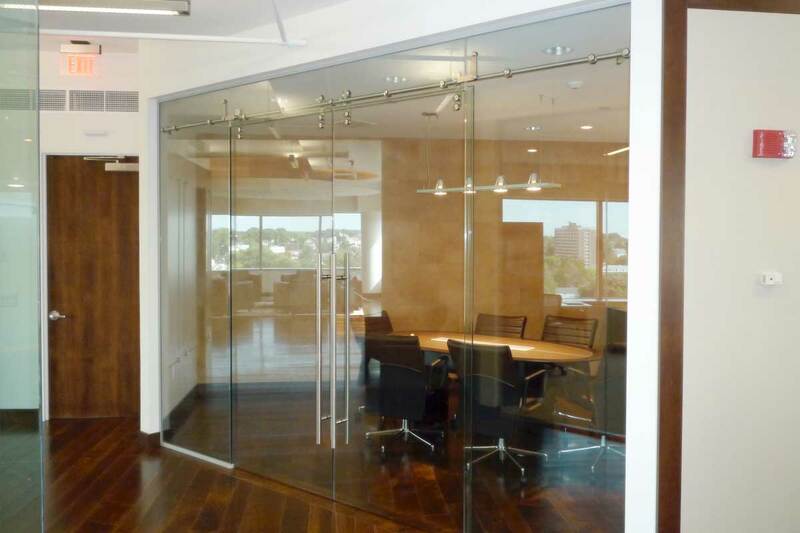 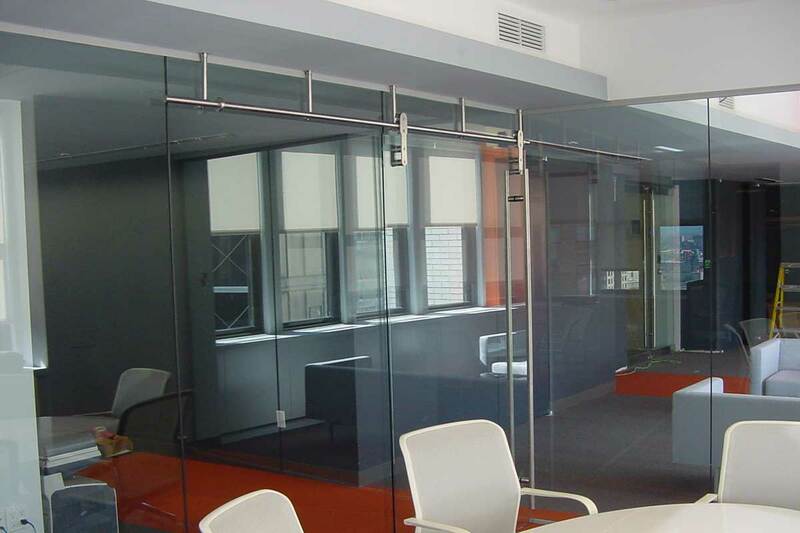 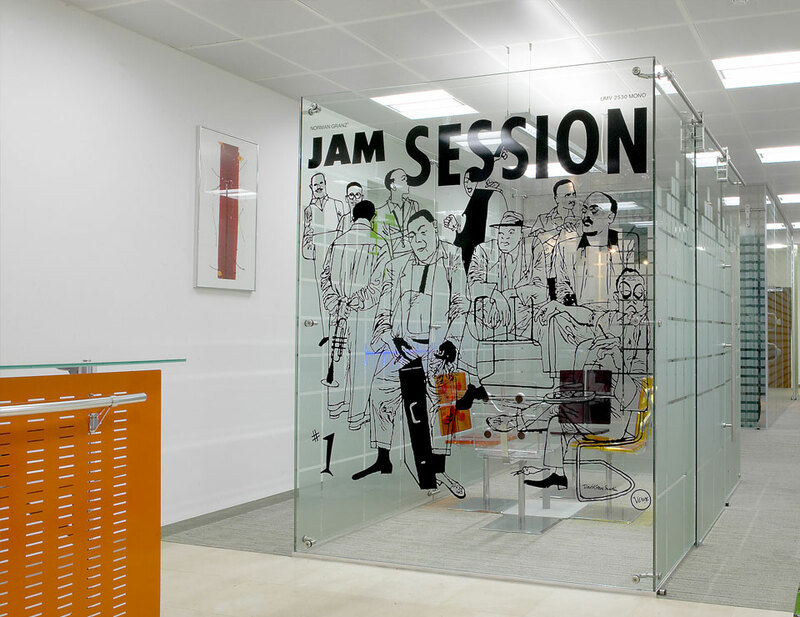 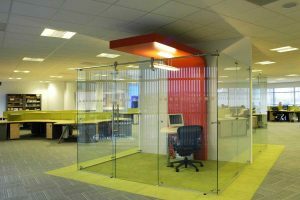 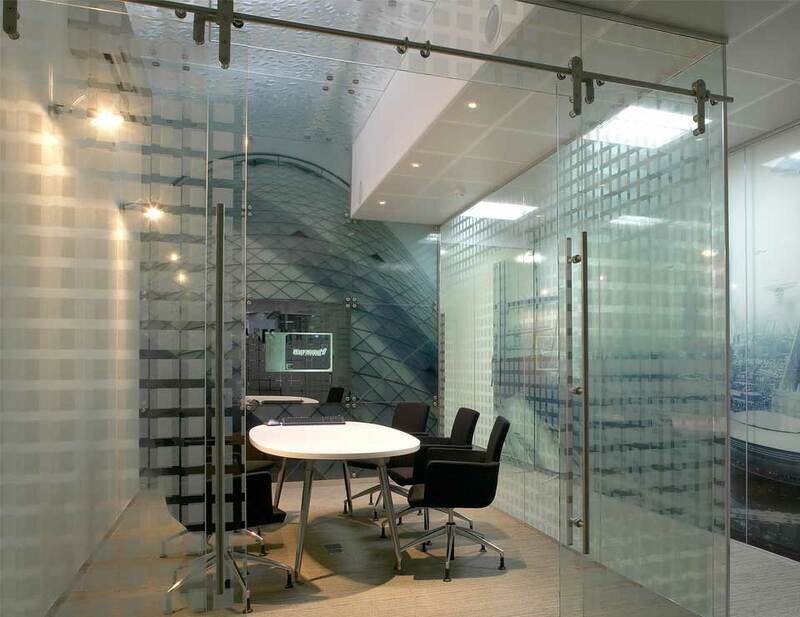 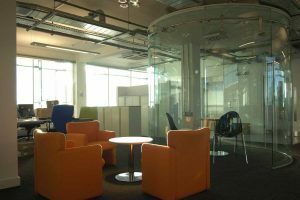 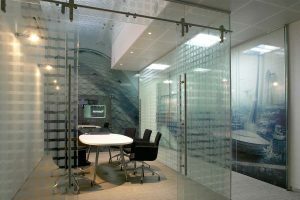 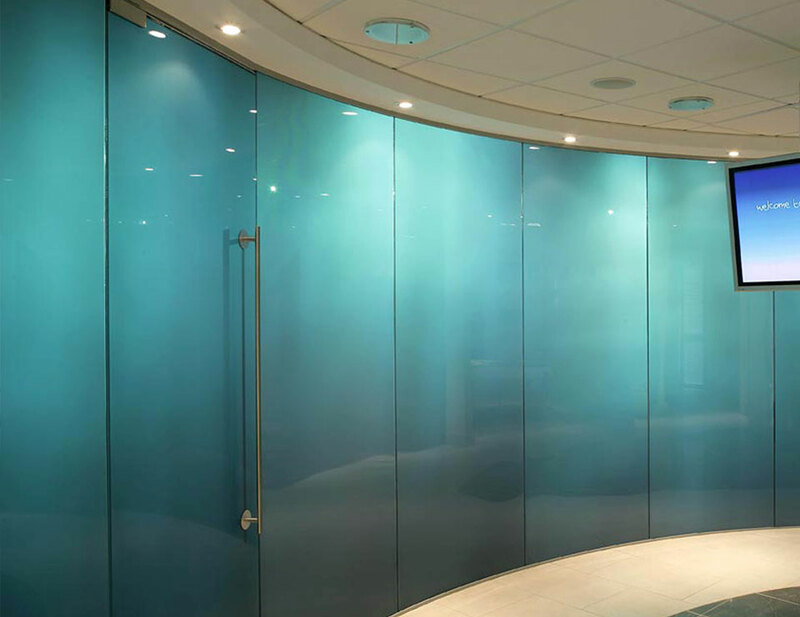 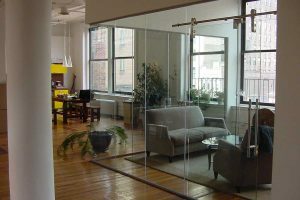 The door accommodates tempered, laminated and low iron glazing, and can be clear or patterned or have a custom graphic. 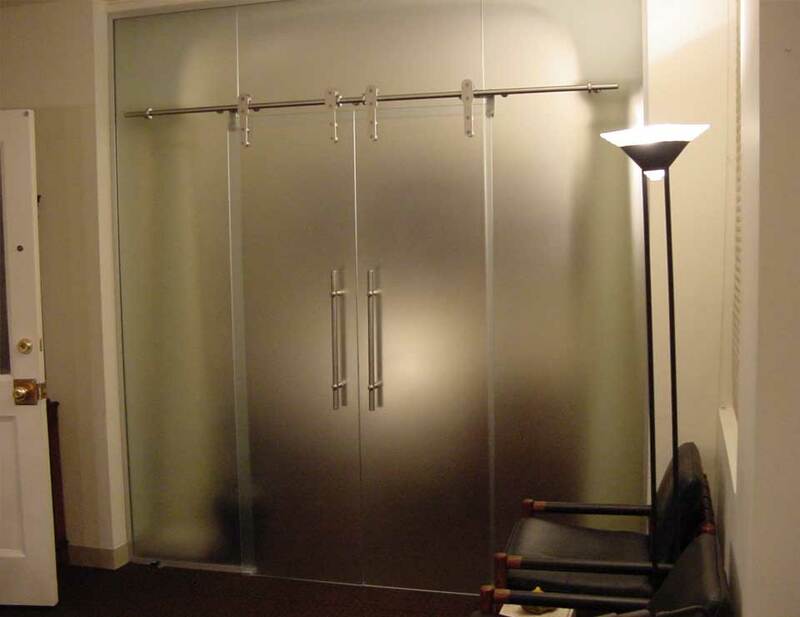 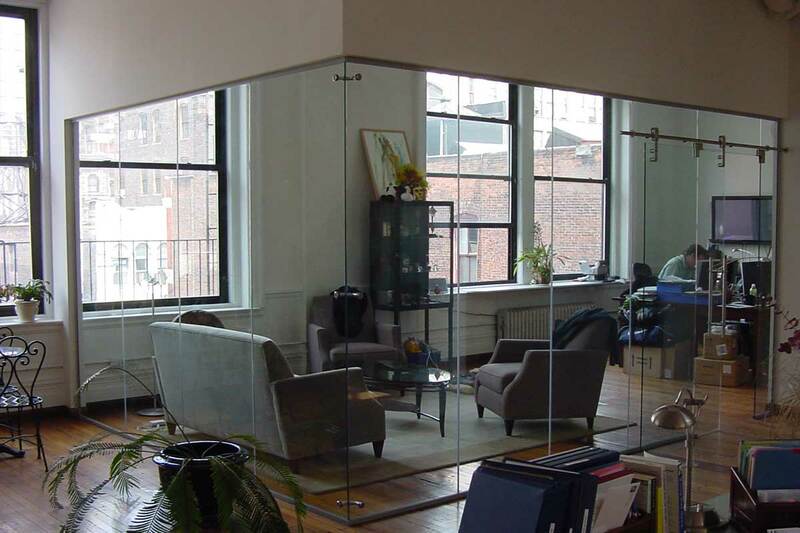 The Barn Sliding Glass Door fits into a straight or curved configuration. A pair of sliding doors is also an option for wider entries. 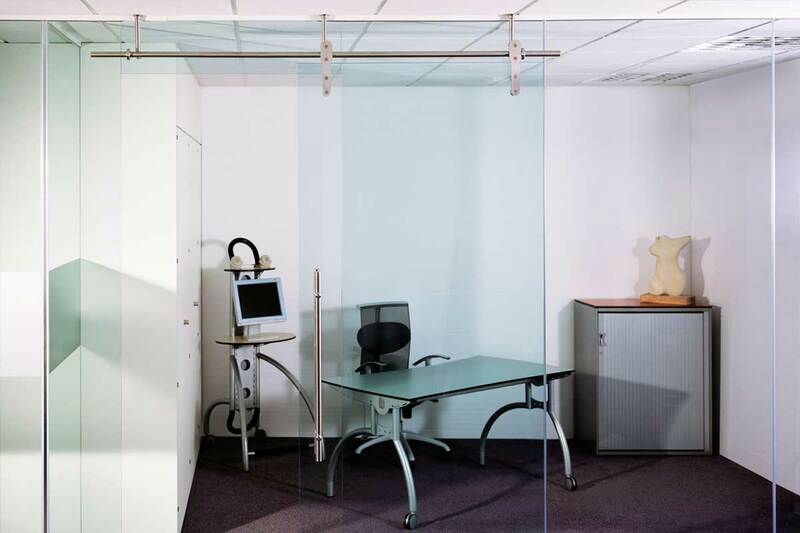 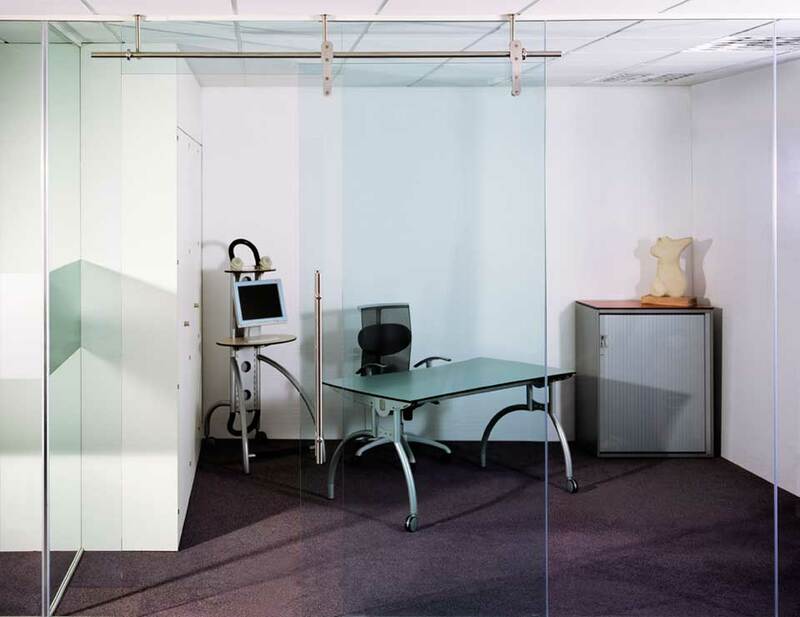 The minimal 5/8” gap between the door and fixed panel reduces the risk of trapping fingers. 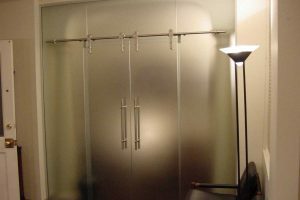 Locking hardware is available. 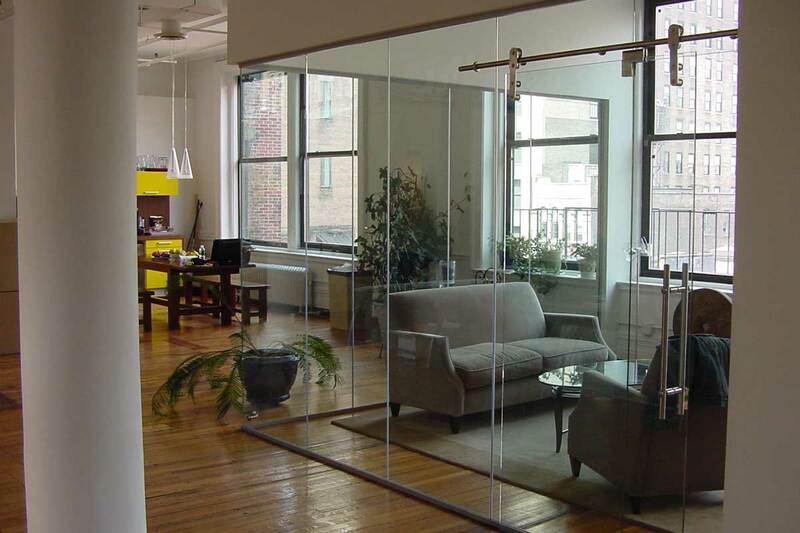 The maximum height for the Barn Sliding Glass Door is 12’-0” and maximum panel width is 4’-0”. The components of the sliding door system are of stainless steel which fit over countersunk fasteners. 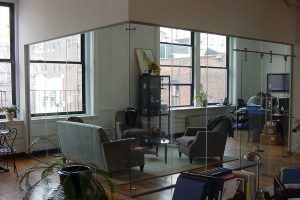 The Barn Sliding Glass Door is completely compatible with all of our systems which are fully demountable, which qualify for LEED credits.